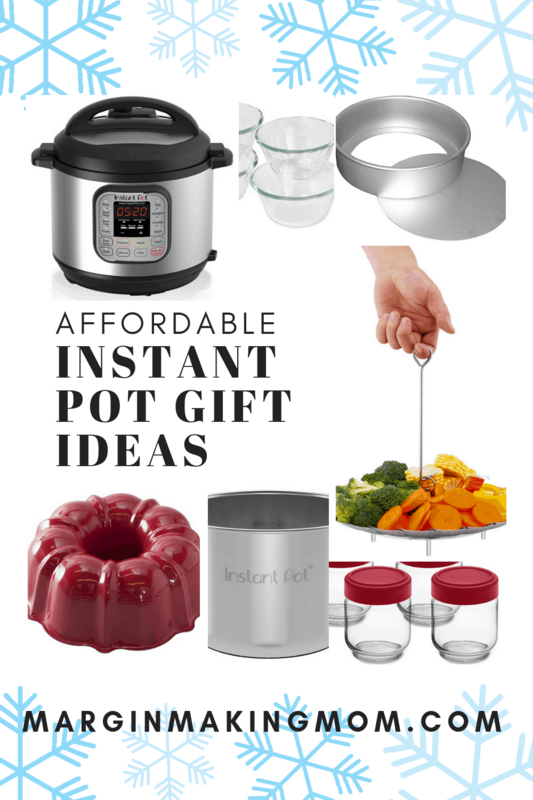 These affordable gift ideas for the Instant Pot lover will take the guesswork out of your shopping! They’re sure to love these useful items! 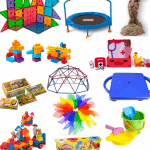 Note: This post may include affiliate links for your convenience. You can read my full disclosure policy here. It’s no secret that I adore my Instant Pot electric pressure cooker. I mean, what’s not to love? It simplifies meal prep and saves me time. It serves seven different functions in one appliance, so you can easily save money and space by not buying multiple appliances. The Instant Pot serves as a pressure cooker, slow cooker, yogurt maker, rice cooker, saute pot, steamer, and warmer! So many different things you can do with just this one mighty appliance. Pressure cooking has had a surge in popularity lately, largely due to the electric pressure cooker. It’s so different from the old (and kind of scary!) stove top models many of us remember from our childhood. The new electric models make pressure cooking a cinch, which is just one of the reasons why I love mine! Chances are, you or someone you know is an Instant Pot lover, too! I share a lot of easy pressure cooker recipes and tips here at Margin Making Mom, because I am always finding new meals to make in my Instant Pot. 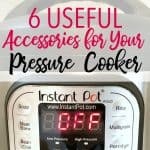 If you have an Instant Pot lover in your life, or if you are a pressure cooker enthusiast yourself (or want to be one! 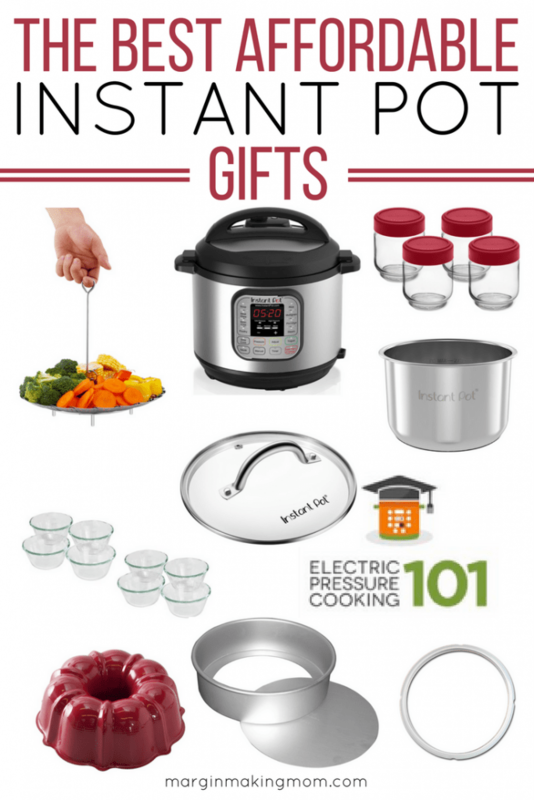 ), I’ve compiled a list of some of my absolute favorite gift ideas for the Instant Pot lover. If you haven’t used a pressure cooker yourself, but you have friends or family members who love theirs, you may feel a little lost when searching for gift ideas for them. That’s where this list comes in handy. 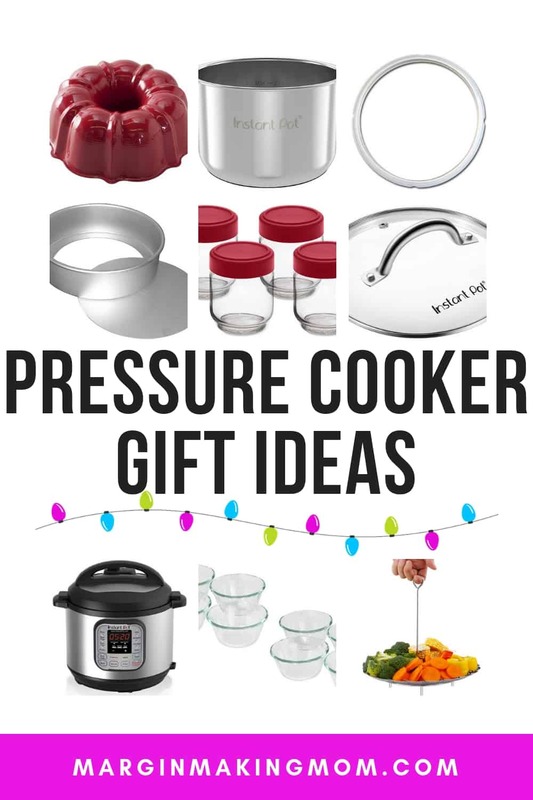 Whether it’s some accessories for pot-in-pot cooking, or other tools for getting the most out of the pressure cooker, these gift ideas are perfect! There’s something for everyone, both newbies and pressure cooking pros. 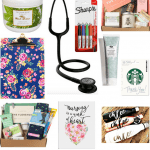 The best part is, you can gift standalone items or combine a few for a fun themed gift bundle! If you know somebody who doesn’t have a pressure cooker, this is the best place to start! The yogurt in my Instant Pot is the model that I personally have and love. It can do so many things and is user-friendly, plus it’s not a crazy expensive pressure cooker model. It’s one of the most popular models, and for good reason! Barbara, of Pressure Cooking Today fame, is releasing a pressure cooker cookbook with 200 recipes! 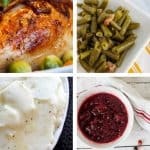 I have loved all of Barbara’s recipes, and she has many years of experience with pressure cookers, so she is a wonderful resource for both beginner and experienced cooks. The book releases on November 14, but you can preorder now! One of my favorite things about this book is the many explanations they give throughout the recipes. It discusses why certain ingredients were chosen or why particular steps were necessary, which is really helpful when first getting the hang of pressure cooking. Many people have a lot of hesitation when using electric pressure cookers. This online class is a must-have for those who want to become more comfortable with using their pressure cooker. 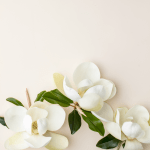 The self-paced course walks you through how to use and care for the appliance, how to utilize the different functions, and also includes recipes and meal plans to put your learning into practice. It’s super reasonably priced and the modules are in bite-size pieces, making it easy to fit into your busy day. 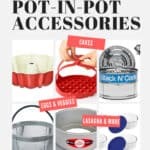 The Instant Pot comes with a trivet, which can be used for steaming some items, but if you want to steam things that would otherwise fall through the grates of the trivet, a steamer basket is really handy. It’s important to find one that fits in the insert pot and is easy to lower and raise out, which is why this one is a great pick. Did you know you can make cheesecake in the Instant Pot? I know, amazing, right?? I have this 7 inch Fat Daddio’s cheesecake pan and it has worked incredibly well. The pan can also be used for my pressure cooker caramel pumpkin spice bread pudding. Having a bundt pan that fits into your Instant Pot is a great way to expand on the pressure cooker’s capabilities. You can use this pan for bread pudding or baked french toast, or for making quick breads or cakes! The silicone sealing rings that fit the lid of the Instant Pot have a tendency to hold onto odors. So if you make chili in the Instant Pot, the ring will smell like chili. No big deal, unless you are making something with a delicate flavor that you don’t want to taste like chili. The rings can then transfer the flavor to delicate items like cheesecakes. So it’s generally recommended to have one ring for savory items and one ring for sweet items. Having an extra silicone sealing ring allows you to do just that. Sometimes I like to store my leftovers in the insert pot, because that makes it even easier to reheat the contents later. But then the insert pot is out of commission. Having a second insert pot at the ready means you can still use the Instant Pot while your other insert is in use! Speaking of leftovers, this glass lid could be used to cover the insert pot before you put it in the fridge. While it can’t be used during pressure cooking, it can be used when sauteing or browning, much like a regular pot lid would be. I make yogurt in my Instant Pot every single week. It’s just so easy! These cute little jars make it easy to incubate the yogurt in single-serve containers, perfect for grab and go! I use these custard cups for all sorts of things, but they work splendidly in the Instant Pot for custard-type desserts such as pots de creme. My Instant Pot is one of my most-used appliances, and it’s the only one that earns a permanent spot on the kitchen counter. If you’re going to keep it on the counter consistently, why not dress it up and make it cute? These pressure cooker covers are a fun way to do just that. 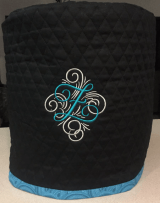 I like this monogrammed version and this pretty print version–you can find one that suits the personality or kitchen color scheme of your gift recipient! A lot of people love bringing their Instant Pot with them when they travel. Because it is such a versatile appliance, many people take it along for use in their RV or hotel or travel rental home. This travel bag with accessory storage makes it easier to tote along! First of all, how cute is this little guy? Smaller than its full-size counterpart, this 3-quart pressure cooker is ideal for use as a second cooker (great for making side items when your larger Instant Pot has the main dish in it), or for those who are “cooking for one” and don’t need a 6- or 8-quart unit. Its footprint is smaller, making it the perfect solution for dorm rooms or other small living spaces. 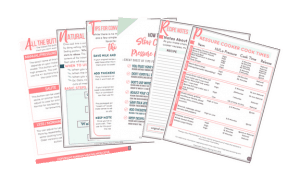 These printable cheat sheets are perfect for the Instant Pot lover to print out and keep in a recipe binder or taped to the inside of a kitchen cabinet door. They’re full of tips and tricks, cook times, and more, making a great quick-glance reference! You can get them here. So there you have it–my favorite picks for must-have gifts for the Instant Pot lover in your life!